We’re a quarter of the way into the year already, which means if you made any resolutions in January, you’ve probably long since fallen off track or stopped doing them. This is when gyms are the emptiest, a few months into the year, when most people have thrown in the towel or are just ignoring the goal completely. 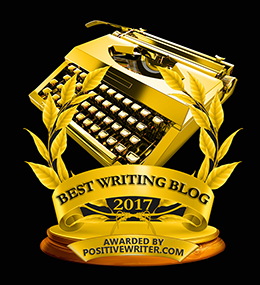 I spent years of my life saying I was going to step things up in my writing life that year and then a few months would go by and my motivation would wane and that would be it, for the most part. I’d still do some writing and other projects, but never the fiction that was calling to my soul. You blame yourself and call it self-sabotage. You say you’re a procrastinator and worry that you’ll never achieve your BIG writing goals, because you’re barely achieving your small ones. But what if there was something else going on? What if there was something happening behind the scenes that was sabotaging you…without you even realizing it? Here’s the real reason resolutions and new habits and good-intentioned people fail to make lasting change: those changes are being made with the conscious mind, but change must happen at a subconscious level if you want it to stick. Your conscious mind is your awareness in the present moment, whereas your subconscious mind is the autopilot mind that’s controlling your body functions and running whatever beliefs and thoughts you currently have installed as your programming. Or to make it even clearer, I’ll borrow an analagy from my friend, Jenn Scalia… your subconscious mind is like your computer operating system, it runs everything, and your conscious mind is like the apps or software you have open on that operating system that you’re currently using. So if you want to make changes, you can’t just do it on a conscious level. You also have to address your subconscious mind and reprogram it along with actively making changes in your physical reality with your conscious mind. At least if you want the changes to stick. 1. Make a list of all the old, negative, limiting, BS beliefs and thoughts you currently hold about yourself, your potential, your ability to achieve your goals, etc. Be sure to also include new belief and thoughts related to the goals you want to achieve. For example, I am a New York Times Bestselling Author, I finish all of my novels with ease, I am a successful novelist, etc. It’s awesome that you’ve decided to make a big change in your life. That’s really the first step to achieving what you want–you have to decide that you’re going to. But then you also have to make the decision to reprogram your subconscious mind to be supportive of the changes you want to make. Otherwise you’ll just keep sabotaging yourself or you’ll continue the pattern of making some progress, but then relapsing back to where you were before. It’s true that making changes can be a bit of a dance… two steps forward, three steps back, five steps forward, three steps back. But you can minimize the time it takes and see progress faster if you make a commitment to making changes in your physical reality and also making them in your subconscious mind. P.S. Doors to the Bestselling Author Mastermind are now OPEN!! If you’re ready to step into being the writer and author you’ve always dreamed of being… if you’re ready to FINISH… if you want to develop the habits, craft expertise, mindset, consistency and follow-through of a professional author, the BAM group is for you.